Lasting love is on everyone’s wish list; so why do some people have it and others don’t? Is it the luck of the draw? Being at the right place at the right time? Finding your destined soul mate? Or is there much more to it than that? Why is it that some people are never able to grasp the lasting love that they truly desire? What unravels the perfect love story? There are many factors that contribute but the biggest culprit; the secret killer that isn’t talked about is commitment phobia. Like the term implies, it is a fear of commitment. Much like claustrophobia, and when it strikes, you feel like you can’t breathe. This phobia can overwhelm you with a sense of panic and an intense urge or need to run away and break free. It has in fact been referred to as a claustrophobic reaction to being in a relationship. Today’s disposable society is all about upgrades. We are enticed everywhere to look for the next best thing. This insatiable attitude of consumptions has even found its way into the dating game. life?” This kind of thinking can start the sabotaging spiral of panic and fear that systematically destroys any good relationship. dating, engaged or married to someone who is and what you can do about it. Do you have the tendency to run from relationships or end relationships and blame your partner? Are you constantly attracting the wrong partner or someone with a fatal flaw? 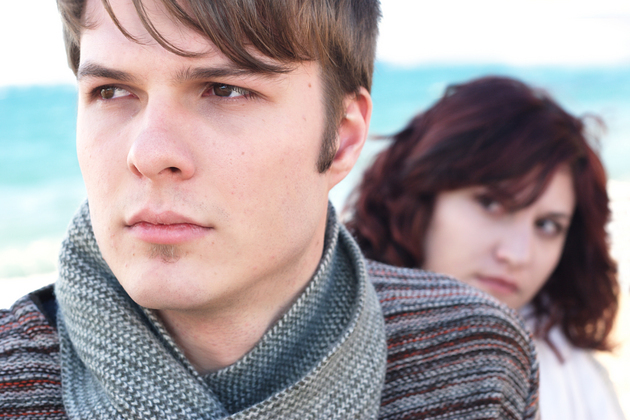 Are you unable to trust your partner, doubting them, finding faults and getting into a place of fear? Do you always have one foot out of a relationship or find ways to disconnect, sabotage or destroy it as soon as someone “loves” you? If you are always feeling like “there is something missing” with the one you have and think “there must be someone better”, you are commitment phobic. are an expression of our core beliefs. If you are constantly finding these people, your fear of trust, intimacy and commitment is leading them right to you. How does one become commitment phobic? By being betrayed, abandoned, let down or traumatised in infancy and childhood. They make a decision that love or their loved ones can’t be trusted. They develop a fear of receiving love. A belief that love is unsafe and can be taken away at any point or go away. Therefore, a protection mechanismis developed in the subconscious mind to avoid being vulnerable or exposed and not reveal their true self. They operate at a distance in relationships with the fear that someone couldn’t love them for who they truly are. relationship with this attitude, they have already begun fantasizing about what’s next. And if you are in a relationship with someone who is always running, your own fears of intimacy and trust make it easy to tolerate this behaviour. You have the space and freedom to give love without being suffocated. How can commitment phobia be overcome? First, stop blaming the other person and take a deep look at yourself and your patterns. Evaluate your past relationships to find the patterns and take responsibility for your part in ruining your relationships. without fear and thus attract someone who is capable of commitment and creating love that lasts. Next, make a commitment to yourself to heal. Talk to a professional to help you resolve your past. negative subconscious beliefs that hold people back from creating the love they crave and the results they want in any area of their lives.